The Centre for Process Innovation (CPI) has held a topping out ceremony to mark the completion of construction work on a new, state-of-the-art facility that will develop next generation light-based healthcare treatments. The National Healthcare Photonics Centre will support the scale-up and commercialisation of MedTech products, acting as a hub for businesses of all sizes and academic partners to work on innovative methods of diagnosing disease, imaging systems – including endoscopy – and light-based treatments. The facility, based at NETPark, in Sedgefield, will host its official launch event next month. 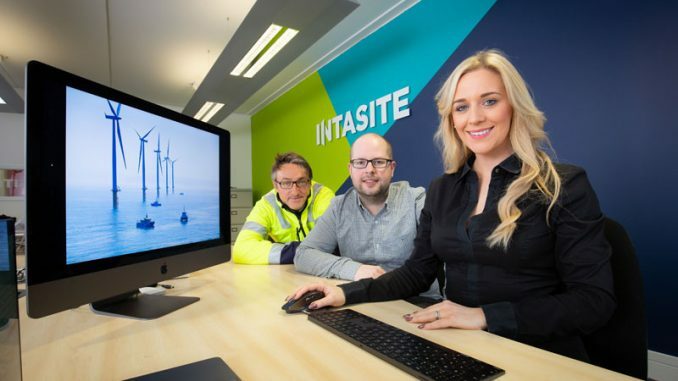 Providing space for work across two floors, it includes a suite of specialist laboratories for optical system development and test, laser system applications development, bio-materials handling and testing, ionising radiation imaging and testing, 3D printing, electronics development and pilot manufacturing work, along with client office space to enable companies to locate onsite and work alongside CPI staff on projects. The infrastructure has been created to enable SMEs to drive forward innovative products and services at reduced risk and with increased capital efficiencies; and to encourage large companies to undertake more disruptive innovation in the healthcare market. 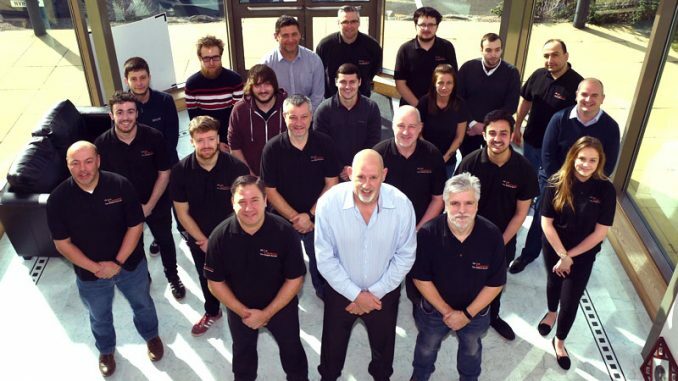 The development has also allowed CPI to create a number of jobs, with the organisation’s highly-skilled team offering partners specialist support across device design and development, validation, testing, and pilot production. The team will also provide business support to link into networks and connections within the healthcare and MedTech markets. 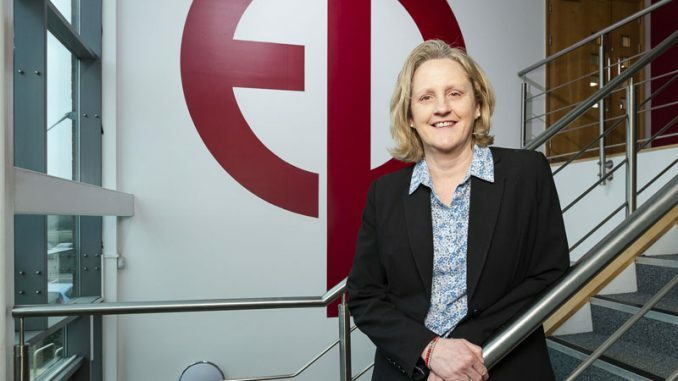 The photonics centre project received a £7.9m grant from the Government’s Local Growth Deal through the North East Local Enterprise Partnership (LEP). The Local Growth Deal is supporting major capital investments to promote innovation, economic and skills infrastructure and sustainable transport as part of the North East Growth Deal. The centre was built by Newcastle-based Surgo Construction, with support from Durham City architect Howarth Litchfield. Minister for the Northern Powerhouse and Local Growth, Jake Berry MP, said: “The National Healthcare Photonics Centre in County Durham is yet another demonstration of the world-leading role the Northern Powerhouse plays in the MedTech sector and I’m delighted that this project is being supported by £7.9m from the Local Growth Fund. Ray Browning, programme manager at the North East LEP, said: “Healthcare product development – a crucial part of the life science sector – is crucial to the growth of the regional economy. “Our investment in CPI is a strategic one to enable the adoption of new industrial processes and products, the sharing of knowledge assets and growth in skills. 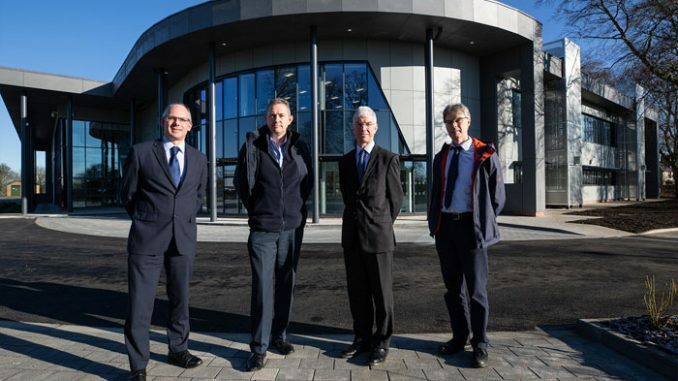 • Pictured above (left to right): Dr Tom Harvey, Healthcare Photonics lead at CPI; Bob Preston, CPI project manager; Dr John Cocker, business unit director; and Ray Browning, programme manager at the North East LEP.